Can you please send me, how I can send Easter greetings in Polish. What are the most used words used for this. Easter celebrations are getting under way in Poland, with many attending Easter Vigils across the country. Churches on Sunday will ring out the Resurrection of Christ, the most important day in the liturgical calendar. On Saturday, many Poles go to church with an Easter basket, known as a święconka, which traditionally contains coloured eggs, pisanki, as well as salt, horseradish, sausage, bread and other regional variations on a theme. On Easter Sunday, Poles across the country and abroad will sit down for a celebratory breakfast, usually served with cold meats and other specialties. 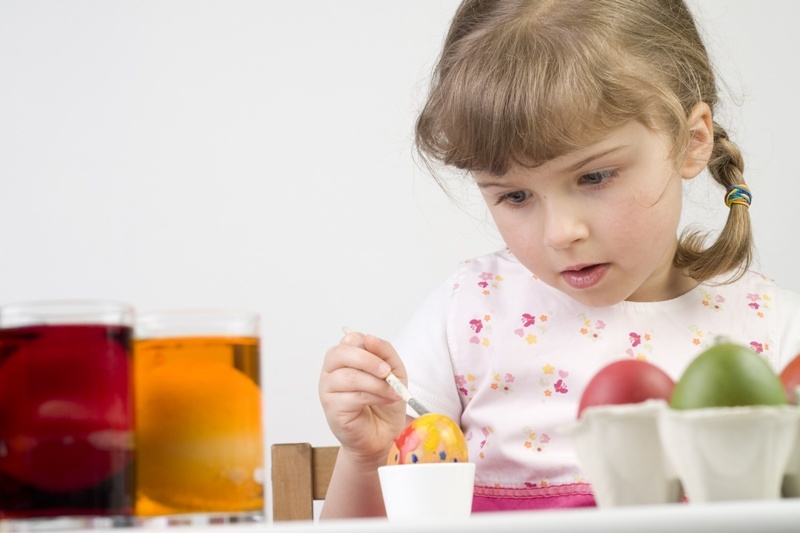 Many traditions are observed up and down the country in the run-up as well as during Easter. For a look into a couple of these traditions, particularly in southern Poland, we invite you to listen to a special programme for this Easter period, beginning from Palm Sunday up until Easter Sunday. My Grandfather, on mom's side, Roszkowski, would all ways go to the Easter Basket blessing, but did not take a basket, but would come with two. But he was a great man, who gave to so many, and helped his family, brought over a dozen people to the USA from Poland, and paid everything for them, and helped them get a start, and some times, gave them a place to live until they got on their own. So what if he took a few baskets, no one was hurt, and most knew of his custom. Święconka (Polish pronunciation: [ɕvʲɛnˈtsɔnka]), meaning "the blessing of the Easter baskets," is one of the most enduring and beloved Polish traditions on Holy Saturday. While originally observed by Polish Americans in the U.S., it has become increasingly mainstream in U.S and is starting to grow in the U.K. as the Polish go there to live. Catholic churches, being observed by a wide cross-section of parishes. For example, the Chicago Tribune reported Francis Cardinal George of the Archdiocese of Chicago performing the blessing in a church on Chicago's Northwest Side on Holy Saturday of 2007. In 2008, a similar service took place in the Chicago archdiocese at St. Alphonsus Liguori Roman Catholic Church in Mt. Prospect, Illinois. Baskets containing a sampling of Easter foods are brought to church to be blessed on Holy Saturday. The basket is traditionally lined with a white linen or lace napkin and decorated with sprigs of boxwood (bukszpan), the typical Easter evergreen. Poles take special pride in preparing a decorative and tasteful basket with crisp linens, occasionally embroidered for the occasion, and boxwood and ribbon woven through the handle. Observing the creativity of other parishioners is one of the special joys of the event. While in some older or rural communities, the priest visits the home to bless the foods, the vast majority of Poles and Polish Americans visit the church on Holy Saturday, praying at the Tomb of the Lord (the fourteenth and final Station of the Cross). The Blessing of the Food is, however, a festive occasion. The three-part blessing prayers specifically address the various contents of the baskets, with special prayers for the meats, eggs, cakes and breads. The priest or deacon then sprinkles the individual baskets with holy water. More traditional Polish churches uses a straw brush for aspersing the water; others use the more modern metal holy water sprinkling wand. In some parishes, the baskets are lined up on long tables; in others, parishioners process to the front of the altar carrying their baskets, as if in a Communion line. Older generations of Polish Americans, descended from early 19th century immigrants, tend to bless whole meal quantities, often brought to church halls or cafeterias in large hampers and picnic baskets. * ham - symbolic of great joy and abundance. The food blessed in the church remains untouched until Sunday morning. Poles around the world are busying themselves in preparation for the Easter holidays, which, in keeping with its Roman Catholic traditions, remains one of the most important dates in the national calendar. Stocking up on eggs and other seasonal items such as cake and ham is a must, whilst in the churches and cathedrals, the ancient rites of Holy Week provide a moving echo of centuries past. Good Friday, marking Christ's crucifixion, is correspondingly the most mournful stage of Holy Week. No masses are held, but the churches fill up with the faithful, and the liturgy takes on a decidedly solemn tone. Echoing Christ's entombment, volunteers from local parishes unveil a Polish speciality, Groby Panskie (The Lord's Tombs). These are fanciful recreations of Jesus lying in his tomb, often life-size, and although amateur, they can be considered authentic incarnations of folk art, often highly inventive and striking in form. On Saturday, the tone becomes more upbeat. Families get dressed up and take little baskets of victuals to church, where the priest blesses them en masse. This beguiling custom, known as Swiecone (The Blessed), was conjured up in many old Polish paintings. In the countryside, the tradition was always especially vibrant, owing to the colourful regional costumes, some of which endure today. Easter Sunday typically revolves around the home. Food blessed in church the previous day is now supplemented by many hearty dishes and consumed in an elaborate breakfast, which usually does not start until after midday. Exquisitely painted eggs are often placed on the table, usually hailing from the countryside, although children sometimes have a go themselves. 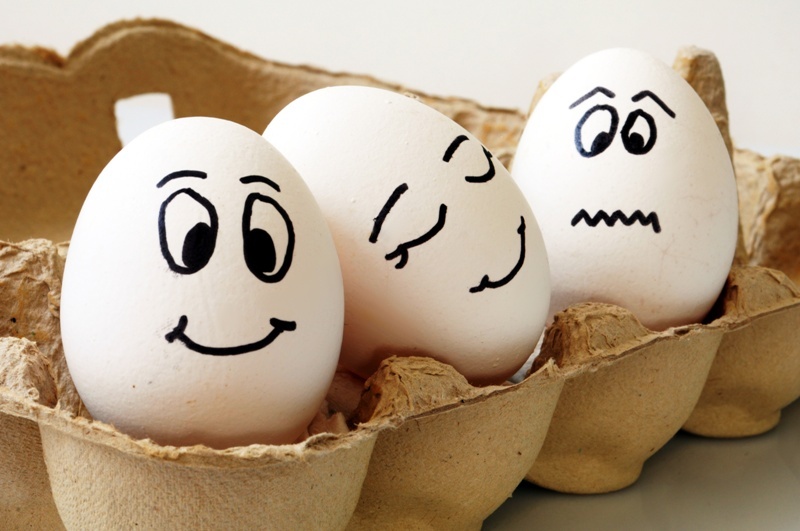 On Easter Monday, the mood changes yet once more. Youngsters are free to douse unwitting punters with pails of water, providing plenty of opportunity for mischief. The custom of Smigus Dyngus, or Lany Poniedzialek (Wet Monday), has been enacted for centuries, and in Krakow, girls by the name of Wanda can technically be thrown into the River Vistula (echoing the fate of a fabled princess), although in reality, locals don't go that far these days. On Tuesday, life begins to return to normal, although many schools have this day off too. In Krakow, the ancient ceremony of Rekawka has been revived in recent years. This event, which takes place on the pagan burial mound of Prince Krak, combines pre-Christian and Catholic traditions, with a dash of medieval swordplay thrown in for good measure. I would help carry her basket, any time. With the Easter holidays fast approaching, a new survey finds that Poles still associate the holiday with traditions such as blessing food in Church and sharing eggs. As Easter in much of the western world has been reduced to buying the kids chocolate Easter eggs, 90 percent of Poles cling to traditions associated with the Christian festivity. The study shows that Easter continues to be a stronghold of Polish tradition, as celebrations have remained unchanged over decades. Eighty percent of respondents cannot imagine the Christian holiday without special cakes, such as the babka or mazurek, or without ¶migus-dyngus –the ‘Wet Easter Monday ‘tradition, which gives, mainly, the perfect excuse to drench girls, and each other, with buckets of water. 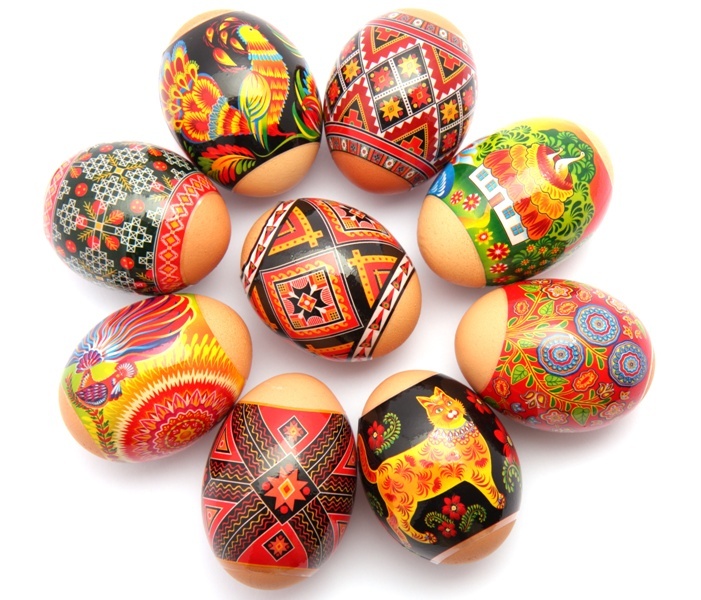 Three out of four respondents couldn’t do without hand-painted eggs known as pisanki; two-thirds declare they regularly take part in Resurrection Mass. Ever since CBOS began running surveys about the observation of Easter in Poland 14 years ago, statistics have remained stable with a comparable number of people declaring attachment to Easter customs. Figures have been dropping in the case of festive cards being sent ahead of the holidays, however. While in the late 1990s the custom was prevalent across the country, it has been preserved in 70 percent of families.